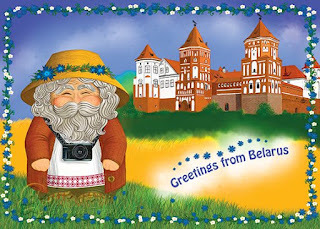 I have seen several of these postcards from Belarus and have even been lucky enough to receive some. But, really I had no idea what this gnome like creature was all about. 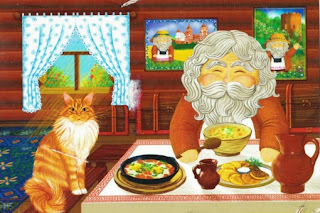 Was he part of some Russian fairy tale? 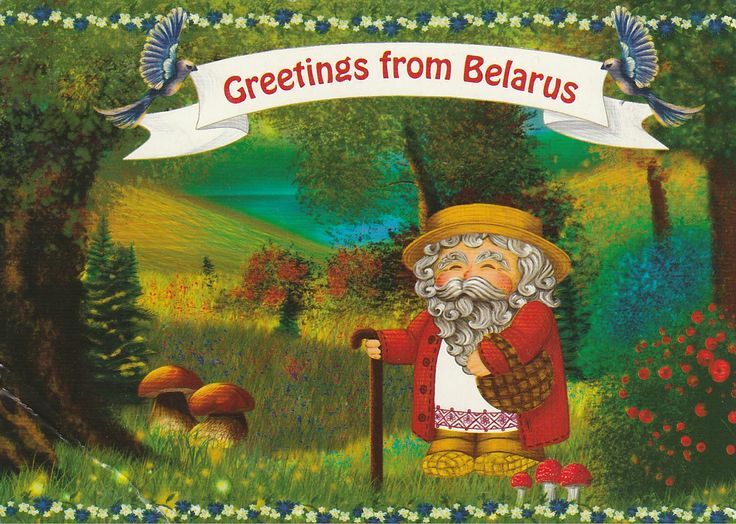 And why is he only in Belarus and not Russia? The variety of cards didn't seem to suggest a story line, but he does appear in many settings. Maybe he is part of the Belarus tourist industry that has taken off on a life of its own? Finally, I realize that this creature is known as Damavik. and this particular Damavik is the creation of a Postcrossing postcard site that specializes in Belarus artists for their cards. if you look up the website (Vanilla Tree Vale) you can find out more about him. 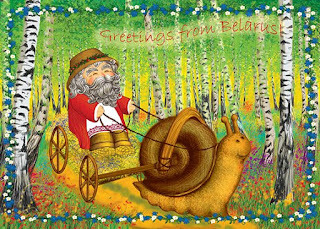 He is a Belarusian folklore character, similar to the Russian Domovoi, (and other Polish, Ukrainian and Lithuanian versions) a house spirit, or elf. Traditionally, it is said that these elves inhabit every house and they help with the chores if treated well by the family. This Damavik lives in a cozy country home and eats traditional Belarusian foods – his favourites are mushroom soup and potato pancakes. 'jolly' is indeed an apt description!